And no, it doesn’t add an option for David Hayter’s voice. I get the feeling that this patch is not something Director Hideo Kojima wanted to see happen, but with him no longer employed at the company, Konami can cave in to fan demands all it wants. So just remember, if you exploit this latest patch, you’re supporting Konami and telling Hideo Kojima he was wrong. If you’ve progressed far enough into Metal Gear Solid V: The Phantom Pain‘s story, you’ll know that after Mission 45, everyone’s favorite scantily clad sniper Quiet will leave Mother Base and never return. So sorry, but them’s the breaks. You’ll never get to run a mission with her again, and all of those times you used her just to form a stronger bond will simply vanish into meaninglessness. I’m kind cool with that, since D-Dog is a far superior buddy to take on sorties, but at least having the option of Quiet around would be nice. And that’s just what the patch does: makes Quiet available again. 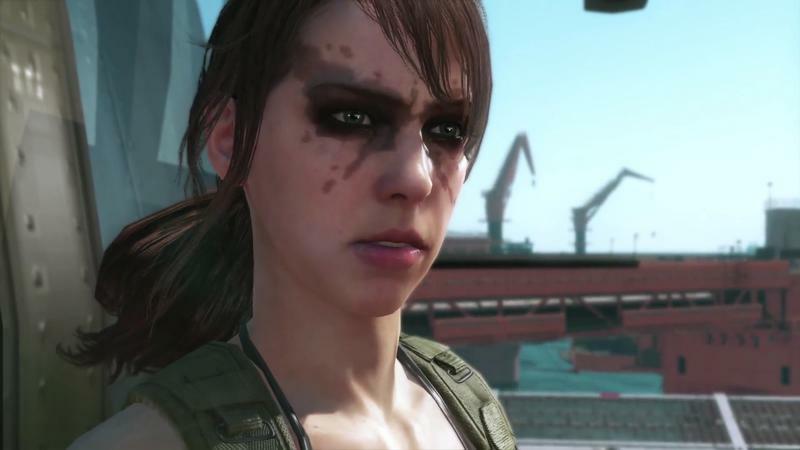 After finishing mission 45, you’ll have to go back and do battle with Quiet again seven more times to recruit her. Afterwards, the “Replay” option on the mission menu will change into “Reunion,” and Quiet will be your eagle eyes once again. She’ll never leave your side. It’s an annoying fix, but it’s a fix nonetheless. If you want to defy Hideo Kojima, you’ll have to earn the ability to say you did it. Luckily, fans discovered an easy way to bring Quiet down, so ultimately, it should’t prove too difficult.